Isn't this funny? Although, I don't mind if someone has the same bag as me. 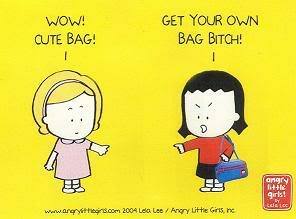 Does it bother you when someone has the same bag as you?